Learn more about Authorize.Net - a secure online payment gateway. 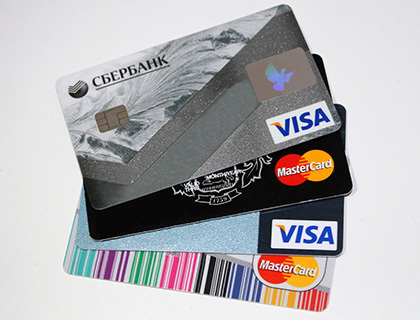 Includes key information, reviews, and ratings about this credit card processing company. Authorize.Net is a payment gateway service that allows businesses to accept credit card and electronic check payments online. They incorporate e-commerce, mobile, and virtual payment processing to ensure a seamless payment experience for customers. What is the price range of Authorize.Net? Authorize.Net pricing starts at $25.00 per month. The All-in-One option includes an additional 2.9% plus $0.30 per transaction. If you only need a payment gateway, the charge is $0.10 per transaction in addition to the monthly fee. Authorize.Net is an online payment gateway that enables businesses to process payments via credit card, e-check, mobile devices, virtual POS (with a card reader), or through your website. As a business owner, you can also turn your phone into a mobile point of sale (mPOS) to accept payments wherever you are at any time. Software features include fraud protection, storing of customer details for future purchases, invoicing, and simple check-out. Authorize.Net is owned by Cybersource. The company provides a secure credit card processing system that complies with payment card industry standards (PCI DSS). Sensitive payment information is stored on secure servers and fraud protection filters are included in all packages. Is there an Authorize.Net app? Yes, the Authorize.Net app is available on iOS and Android. Does Authorize.Net integrate with API? Yes, you can manage your customer profiles and process transactions via your Merchant interface or integrate your website or app using API. What is Authorize.Net Accept Suite? Authorize.Net Accept Suite offers a range of integration options and can be customized to suit your business. Where do I find the Authorize.Net login page? On the Authorize.Net webpage, click "Sign In" in the top right-hand corner or log-in at account.authorize.net. How do I get in touch with Authorize.Net support? On the main website, click support in the top right-hand corner. You'll be directed to the customer support page where you can find a range of solutions and answers to common questions. Or you can contact Authorize.Net customer service 24/7 on 1 (877) 447-3938. Authorize.net is our payment gateway, as we are a company that runs several credit card transactions daily. The fees are minimal, the customer service has always been great, and the website is about the simplest one I've ever used, considering all of the information it processes. We operate with iPads in the field and were happy to find that our technicians could use the Authorize.Net app with or without a card reader. The ability to use it without a card reader was one less thing to not lose in the field. I wish there was the ability to add just a link on our invoices to link to a payment portal, this would be helpful. Authorize.net is the standard in payment processing. For a complex and established e-commerce website, Authorize.Net will offer the features needed and provides a trusted payment solution. The reporting is simple to use and doing voids or refunds is very straight forward. Documenting and printing receipts is also a great feature. This company has been great to deal with, always there when we need them. We can easily complete refunds, voids, and view all current transactions for our business. Easy search function. Used them for years. Fantastic! It is rock solid and very easy to implement. Their support team is fantastic and available 24 hours a day. Company Focused Software! Integrations for customization needed for our services. Having Authorize.net in our business is a like having your own bank! You can accept any card payments which gives ease of payment and receipt, processing sales is never easier! Works with most merchant processors. Offers both credit cards processing, as well as ACH (eCheck) payments processing. Variety of reports available. Sometimes Authorize.Net is down, this is rare, but when it happens you can't process your payments. They usually try to fix it fast. We use Authorize.net for the credit card processing needs of our small non-profit. Easy for us to invoice customers without needing to secure their credit card information in-house. The invoicing feature has a 'due date' field that auto-populates to the date the invoice is sent unless manually adjusted. It then sends a 'past due' message if it's not paid that day. It would be nice to have that automatically date for a month out.